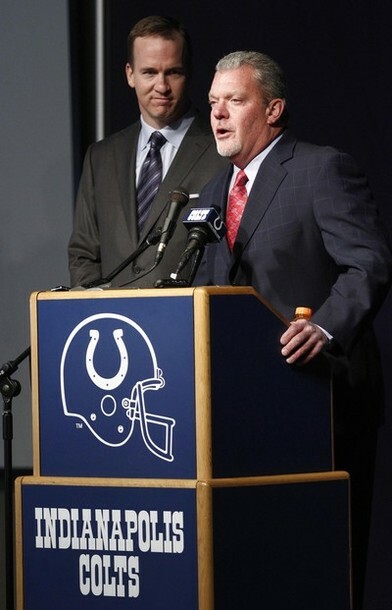 Indianapolis • Peyton Manning and the Indianapolis Colts ended their successful partnership with a tearful goodbye Wednesday, when team owner Jim Irsay released the star quarterback rather than pay a whopping $28 million bonus while there are lingering questions about his health. This entry was posted in Videos and tagged Colts, Colts Release Peyton Manning, Indianapolis Colts, Jim Irsay, NFL, Peyton Manning, Press Conference. Bookmark the permalink.